A sneaky peek of the new design at its current state. 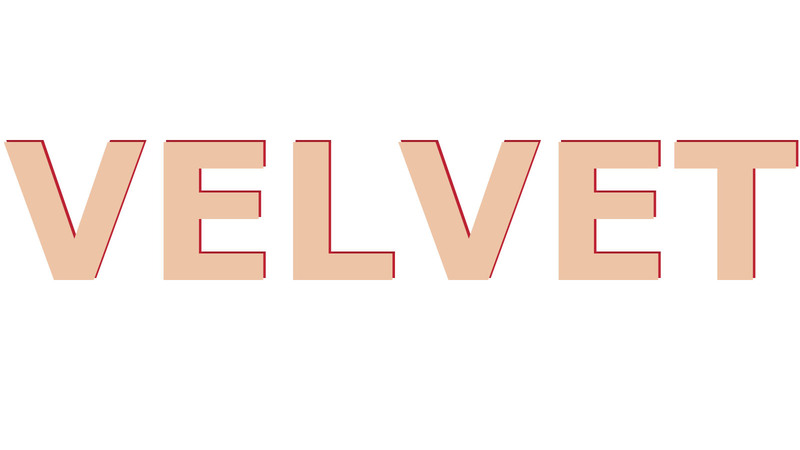 Initially, Velvet Independent had begun as a mere form of ‘extra credit’ for University applications and post-career aspects of becoming a professional music journalist.That goal I have achieved so to speak. But Velvet Independent has become much more than an extra credit opportunity. Velvet has given me the chance to expand on my perception of the musical environment. How the bands we all find in the NME or Pitchfork have actually ‘made it’, just not as well as the mainstream chart acts. And the blasphemous mention of ‘rock music’ dying out every year, when those two words combined have become lost in translation. Rock music, was the pop music of today. Pop was rock, rock was rock. Today ‘rock music’ has expanded to a different meaning altogether. It could mean actual Rock ‘n’ Roll, Indie music that’s labelled as Rock, Heavy Metal, the list goes on. Rock music isn’t dying and it can’t, because rock music is evolving. You can’t stick to the same premise of 50’s-60’s rock and expect it to still be present in modern times. It’s the survival of the strongest, and although manufactured pop reigns supreme on the charts (mostly) it’s the ‘rock’ music from truly amazing bands and the yet to be known indie acts that are worth mentioning. This is the premise of Velvet Independent, that as long as the world keeps rotating, then new bands with new styles will emerge that are deemed necessary to write about. The latest in Salford’s Sways Records cult following, Bernard + Edith had a funky aroma around them since their debut track for Sways, Poppy. The 70’s, mystic shimmers and rapidly beating synths created a psychotic new reality where Sways madness was revealed to the world, which terrified everyone into forgetting. Okay that didn’t happen but B+E’s madness is just as mentally challenging as Naked (On Drugs) music. Brought to my attention by Noam Klar, Hockeysmith’s style of futuristic guitar pop was a refreshing take on the current ‘trend’ of all girl groups, (even though they’re a duo) revolving around a beach-rock genre. The first track that graced my ears was the experimental But Blood, with its industrial rock tones alongside jolting synth tones as well as the pairs, well tailored lyrics and vocals. You might have guessed by now that these artists are all Welcoming… features, and well done if you have! I still don’t know how I found Lady Jesus and I don’t think I ever will, but that’s the perfect way to approach Lady Jesus. You don’t know how you found them, but you found some incredible music. Most formidably their cover of Chris Isaak’s Wicked Game. With a keen focus on creating some distance from Isaak’s ‘artistic’ grey video, Lady Jesus abided to their own style of ‘lad-rock’ but still staying emotionally-vacant. If you move away from this cover, though you’ll be surprised, gladly surprised. When Dead Groove first approached me to listen to their music, I was somewhat unmoved by their self labelling as a hip hop/rock band. My initial thought was that they’d be a rip off, of The Neighbourhood. But then Zeus himself struck me with lightning for my foolish first perception (not literally though). What I found with Dead Groove, was enticing, forward thinking, notable, and most importantly hugely impressive lyrics that were as distant from mainstream hip-hop lyrics as possible with a closer relation to the initial struggles of Hip-Hop’s leaders in the Bronx and Harlem back in the 70’s. Also partnered with their lush bass grooves, Dead Groove showed that the two worlds that seem so far apart can be joined together. From the moment I saw Broken Hands supporting Howler in March, they had immediately become my favourite band of the year. It might come across as just rock music, but Broken Hands approach is so much more. Dean’s vocal performances are always of a spectacular level, almost becoming growls at their deepest point, and stadium breaking behemoths at their highest. But it wasn’t just Dean’s vocal’s that got me, nor his lovely personality. Broken Hands’ sound as a whole felt worldly important. They weren’t just trying to be another band. Their lyrics might not be as politically and socially challenging as Dead Groove’s, but they’re stories nonetheless, and perfection at that, on top of mind destroying guitar riffs. So, 2014 thus far has been an amazing year for new music of both fresh experimental new bands and returning familiar faces. You all seem to have enjoyed them as well with over 2,600 views altogether!